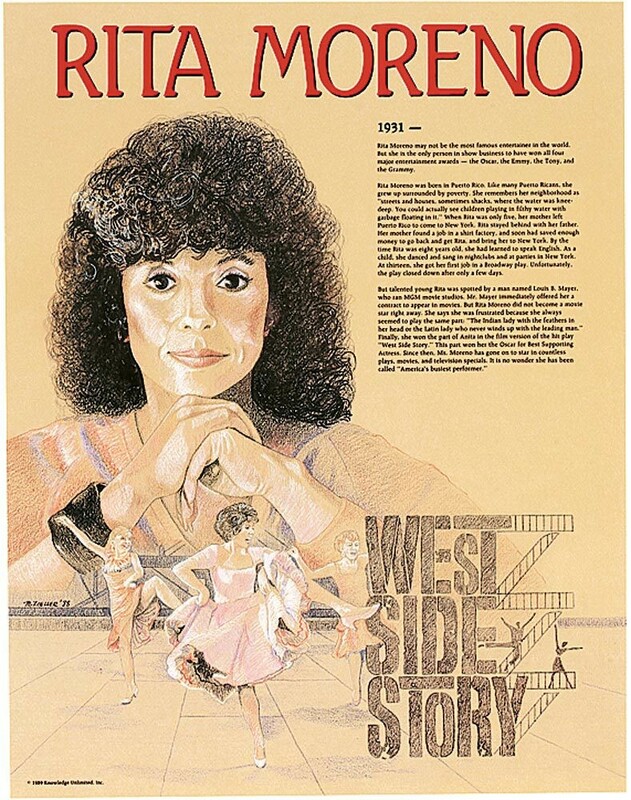 This poster features a striking artistic image and concise biography of Rita Moreno, an actress who is among a handful of people to win all four major entertainment awards -- Oscar, Emmy, Grammy, and Tony. 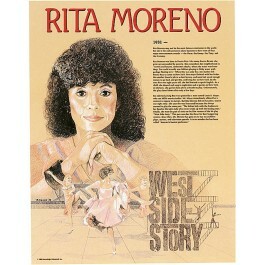 Rita Moreno did not have an easy road to success. She grew up surrounded by poverty in Puerto Rico. But with her parents' determination, and her own hard work and talent, she became one of the busiest and most acclaimed performers in show business.